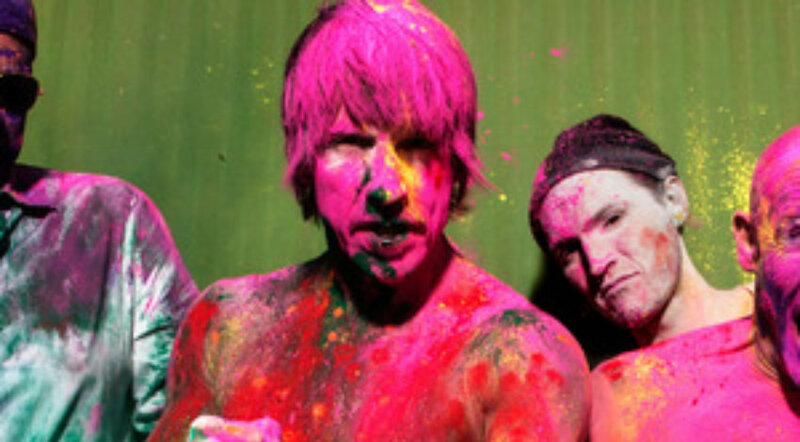 The Red Hot Chili Peppers made their triumphant return to NZ after six years. With their distinct funk-punk-rock style, these old chunks of coal rocked Spark Arena with a non-stop speedball-esque buzz. Despite having grown from their drug-fuelled past, the Chili’s proved that they were still human by opening with local hip-hop group SWIDT. No doubt, SWIDT are good at what they do, but if you went to a ball game and found yourself watching Swan Lake at half time you’d be confused too. You know you’re in front of the wrong audience when you throw your shorts into the already unenthused crowd, only to be immediately graced with their return. If Friday night’s set could be tasted, it would be a smorgasbord of the spiciest chilis. The Chili’s proved their love for music by smashing some old school gems such as Me and My Friends (1987), Stevie Wonder’s Higher Ground (1989) and even honouring the great Stooges with I Wanna Be Your Dog (1969). Although historically criticised for his subpar vocals, lead man Anthony Kiedis delivered consistently all night with the support of newest band member, guitarist Josh Klinghoffer, and the recent addition of a keyboardist – to fill in the harmonic gap left behind by John Frusciante. Flea continued to live up to his name with energy only to be rivaled by the maniac with the sticks; Will Ferrell. It will forever impress me how Mr Ferrell can perform at the peak level in two fields with such consistency.